Just behind Bob's discount furniture at the Mill Creek Mall in Seacaucus is another world, with migrating ducks instead of holiday sales. This was our first time to Mill Creek Marsh, but we will be back. It gets migrating ducks similar to the DeKorte, but has smaller lakes and ponds, making it easier to enjoy the ducks. 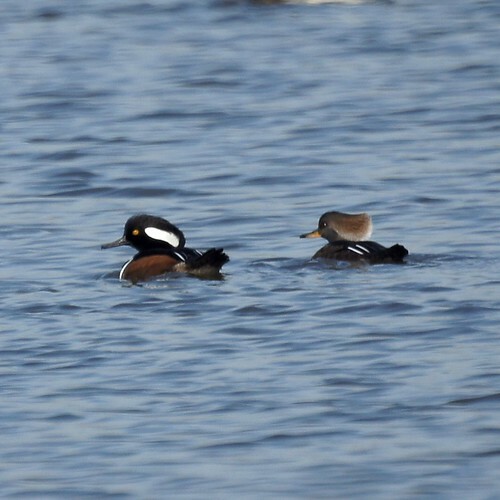 Hooded mergansers are still our favorite.